"You must contact A Beautiful Florida Wedding if you want a quality destination wedding! They are, quite simply, the very best in the business; incredible people, humble personalities and really efficient workers." Q. How will I know if a destination wedding is right for me? A destination wedding is the perfect setting for a romantic expression of your love. If you get married on the beach you often have the advantage of the ocean glistening, the sands soft beneath your feet and, if the wedding is here in SW Florida, the sunsets make for magnificent photos that you will treasure all the days of your lives together. Many SW Florida couples take advantage of the “glow” just after sunset – it’s mesmerizing. Q. What are the advantages of a destination wedding? If "being" together and having fun are high on your list of values when you think about your wedding, then a destination wedding will work wonders to give you all this and more. Imagine arriving here to SW Florida, soaking in the sun (we will provide the sunscreen) to give you that glow on the day of. Now imagine the men going out on the water for a deep sea fishing and the women going to the golf course for a round, or the women having their mani -pedis at our spas, some of which have their own private pool for before or after, many of which are beachfront. Then imagine on the “day of” being with your wedding party, and your guests being transported to the beach location which we reserve for you. Palm trees are swaying in the breeze as backdrops for your arrival. Your shoes feel the sand beneath your feet. You are both ready to say "I Do", everyone is rested and relaxed and ready to celebrate your wedding! Q. How can I plan for a wedding in a destination other than where I live? And can I do it alone or do I need a planner? It's not hard WITH the right planner. See "A Tale of Two Weddings". Ask any potential planner what part of their business is planning and officiating destination weddings, and you'll begin a conversation that will tell you if this is a company you can trust with planning your “moment in time” in their location. Notice how do you feel when listened to by the planner? Is it your wedding they want to plan or some vision of their own? Look at the packages on their website. Do they approximate what you are looking for? 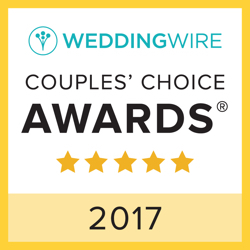 Check out their testimonials; what are other destination wedding couples saying about their experience in working with this planning team. Check out their “About Us” section to learn about their experience and expertise. You want them to give you the best service with the best quality and a reasonable price. If they qualify as trustworthy, you can have your "cake and eat it too". Q: I'm worried that I can't meet any of our wedding vendors in person. How do I know they're reliable? At A Beautiful Florida Wedding we have many preferred professionals for each category of need. The vendors we work with are seasoned and have been in the field for 10 years or more. 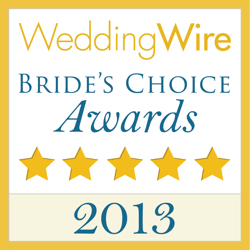 Our vendors have rave reviews and qualify to be on preferred vendors lists at our 5-star hotels. When you hire a planner ask if they can match this standard because the vendors they hire tell you about their reputation too. Likewise, if a planner has a wedding team they use over and over again, there is a magic that happens when they all come together for your wedding. This is preferred over mix and matching of vendors who all are new to one another and/or who only work together occasionally and are not nearly as effective creating your dream wedding as a team that has been together for years. Q: How do I get my dress to my destination? Many of our couples send their dresses to us and we get them pressed and delivered on the day of. While one couple actually purchased a seat on the plane for the bride's wedding gown, it can actually be less expensive to ship it to us. If you are traveling internationally, you may want to purchase a simple dress to carry with you, or as some have done, arrive here at their destination wedding a week before and buy it here. Q: Is there any way to include guests who can't come? This is where film becomes a necessity. Our videographer has captured so many moving moments at weddings that our couples then take back home to share at a party for all those who could not attend. Photography and video-the perfect duo. Q. How do we handle communication with our planner? 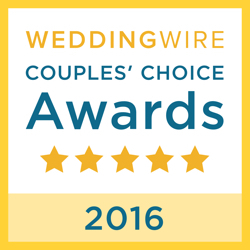 Given our background as relationship counselors, we are a communication conscious team of wedding professionals. 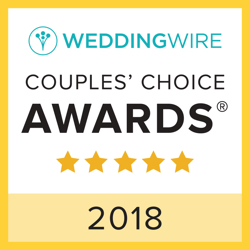 From our expertise of being officiants to our planning and our day of coordination onsite, we want you to be included in the process all the way. Some couples prefer that we do all this without too much intervention on their part and we are comfortable with that too. But for us, email, Facebook, messenger, text, SKYPE and phone are many of the ways we make certain we stay "connected" and up to date.